Bucharest; 032258; sect.3; Bd. Th.Pallady 63. 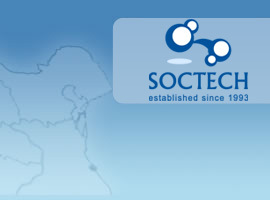 The SOCTECH products are certificates by ISO 9001 and they are delivered to various customers, mainly from Germany, Spain, Italy, Ukraine, Greece, Japan; Abu Dhabi; USA. 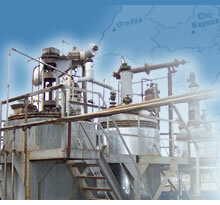 The chemical products and equipment distribution. The test and implementation of new chemicals technologies by diverse association forms.